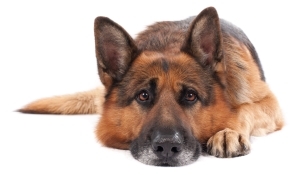 Poor pancreatic health can be common in certain breeds of dogs such as German Shepherds, so make sure to research both the breed and the breeder to try and avoid your dog ending up with problems further down the line. Lypex capsules must be opened and the contents sprinkled in with food for every meal. The food should be given immediately after the Lypex is mixed in. Lypex capsules should not be given whole. One capsule should be given per day and spread out across their meals. Lypex is a unique, clinically proven triple pancreatic supplement wrapped in a protective coating to aid optimal absorption. Contact the vet you purchased Lypex from for guidance on the use of Lypex for your pet. They’ll be able to provide specialised advice for your pet due to the records they keep. If you are unable to get the information you need from your vet, or if you bought Lypex elsewhere, please contact us for assistance.